Congressman Ray LaHood (right) from Peoria was president of the Illinois Sate Society from 1996 to 1998. In 2009, President Obama appointed LaHood to be Secretary of Transportation. William Daley of Chicago (left) served as Secretary of Commerce under President Bill Clinton and as White House Chief of Staff under President Obama. John R. Block (right) served as Illinois Director of Agriculture under Gov. James R. Thompson from 1977 and was appointed as Secretary of Agriculture by President Ronald Reagan in 1981. Block has been an active supporter of the Illinois State Society of Washington, DC for many years during and since he left office. Former Congresswoman Lynn Martin of Rockford at lower left was a Contessional Vice Chairman for the Illinois State Society in the 1980s and she became Secretary of Labor under President George H. W. Bush in the 1990s. Former Illinois Congressman Edward J. Derwinski at lower right in red jacket is shown with President George H.W. Bush when Bush appoointed Derwinski as the very first Secretary of Veterans Affairs in 1991. Derwinski was from southern Cook County and he was an acive supporter of the Illinois State Society of Washington, DC for almost 28 years from 1958 to 1985. At the age of only 22, attorney John Hay of Springfield at lower left was assistant private secretary to President Lincoln. President William McKinley appointed him as Secretary of State in 1898 to negotiate the Treaty of Paris to end the Spanish-American War and he was also known for his Open Door Policy toward trade with China. Harold Ickes of Chicago at right was an active member of the Illinois State Society of Washington, DC who was appointed as Secretary of the Interior by FDR in 1933. His son was White House Chief of Staff to for President Bill Clinton in 1993. Frank Knox at lower left was a friend of Teddy Roosevelt who served with Teddy's Rough Riders in Cuba during the Spanish-American War in 1898. In 1936, he was publisher of The Chicago Daily News when he was nominated by the Republican Party to run for Vice President with Gov. Alfred M. Landon of Kansas. When FDR needed a pro-British Republican in his cabinet, he asked Knox to become Secretary of the Navy in 1940 and Knox was on duty when Japan attacked Pearl Habor on Dec. 7, 1941. Throughout its 158-year history, the Illinois State Society of Washington, D.C., known as the Illinois State Association before 1917, has been famous for its sociability and generous hospitality. The great American humorist Mark Twain was the most famous son of Missouri. But he was not yet a famous celebrity during his visit to Washington City as a reporter on February 20, 1868, when he fell in with a party for the Illinois State Association. Mark was only 32-years-old on that night early is his career and he had not yet published any books. What limited fame he did enjoy that night at the Illinois party came from his 1865 short story called The Celebrated Jumping Frog of Calaveras County. "The invitation I had received was couched in such mysterious terms that I gatheredfrom it a vague notion that I was going there to report a sort of State Agricultural Society; and it was a very agreeable surprise to find a large party of gentlemen present who were not talking about steam plows and corn-shellers, and a brilliant company of ladies who were taking no thought of prize turnips and miraculous cabbages. I like agriculture well enough, but not agricultural mass meetings. There is nothing about them that fires the blood." What better compliment could there be for a successful social club? And from one of the world’s greatest authors no less! Mark Twain’s observation that the Illinois State Association “placed even diffident strangers at their ease” and was conducive to “a constructive old-acquaintanceship” shows his insight at its best. Sociability is as much at the heart of the traditions of the Illinois State Society at the start of the twenty-first century as it was in 1868. Now if you come to an Illinois State Society party today, you are of course welcome to talk about about steam plows or prize turnips if you really want to. But those topics just do not come up that often anymore now than they did on the night in 1868 when Mark Twain was our special guest and he became a "contented Illinoisan." Congressman J. Dennis Hastert (R-Elgin) was president of the Illinois State Society of Washington, DC from 1992 to 1994. In 1999, the Illinois State Society hosted a special reception at the Library of Congress to honor Hastert on his election as Speaker of the U.S. House of Representatives. He served as Speaker until his retirement in 2007. Congressman Hastert was the third Speaker from Illinois and the third who was an active leader of the Illinois club in DC. From 1933 to 1934, the Speaker of the House was Henry T. Rainey (D-Carrolton) who served only one important year during the first year of FDR's New Deal Administration. Speaker Rainey and his wife were both very active in the Illinois State Society and Mrs. Rainey was the historian. Henry Thomas Rainey was born in Greene County, on August 20, 1860, attended Knox College in Galesburg, and graduated from Amherst College in Massachusetts in 1883 and the Union College of Law in Chicago in 1885 (now called Northwestern University School of Law). He was admitted to the Illinois bar that same year. He returned to Carrollton to serve as master in Chancery for Greene County from 1887 until 1895. At the age of 42, he was elected to Congress, representing the southwestern Illinois counties south of Springfield and north of Alton. As noted elsewhere on this page, Joseph Gurney Cannon, called "Uncle Joe" Cannon (R-Danville), was the 44th Speaker of House from 1903 to 1911. Cannon was involved in many controversies with younger House Republicans who thought he was too dictatorial in his methods and he often feuded with President Tedddy Roosevelt. The Cannon House Office Buiding is named for Uncle Joe. Cannon served a total of 40 non-consecutive years in the House. For a sample of major cabinet members from Illinois, please click here. We have not yet recovered all the names of our society presidents from 1854 to the present year, but if you click here, we do have names of 98 presidents from 1867 to 2012. Here are some of their stories. On January 11, 1928, the Illinois State Society of Washington, D.C., hosted a reception at the Willard Hotel for its new president, Congressman Henry Riggs Rathbone (R-Ill.) pictured at left, who succeeded Major Victor Martin. Rathbone was the first of twenty-one Members of Congress who served as presidents of the Illinois State Society during the twentieth century. Henry Riggs Rathbone was the grandson of Senator Ira Harris who had represented New York during the Civil War. He was born in Washington, D.C., on Lincoln’s birthday, February 12, 1870. He graduated from Yale University in 1892, then from the law department of the University of Wisconsin at Madison. He was admitted to the Illinois bar and began the practice of law in Chicago in 1895. He was a delegate to the 1916 Republican National Convention that nominated Charles Evans Hughes. In 1922, 1924, and 1926, he was elected to Congress from Chicago. Congressman Rathbone had a great deal of tragedy in his life. He was the son of Clara Harris and Major Henry Rathbone. They were the engaged couple who were invited to sit in the box at Ford’s Theater with President and Mrs. Lincoln on April 14, 1865, the night that John Wilkes Booth shot the president. Major Rathbone had been scarred emotionally by some of his Civil War battles. Moreover, some of his friends believed that he partly blamed himself for not stopping Booth. If true, such guilt would have been baseless since Booth entered the box from the opposite side near the president and fired his Deringer pistol directly at the back Lincoln's head before Rathbone, Mrs. Lincoln, and Clara were even aware he was there. Major Rathbone struggled with Booth after Booth got around Mrs. Lincoln and Clara Harris and he was cut by Booth on the arm with a knife before Booth jumped eleven feet from Rathbone’s side of the box which was over the edge of the stage. It was then that Booth caught his spur in the bunting below the box and broke his leg in the fall as he shouted the motto of Virginia, "Sic Semper Tyrannis" (Thus Always to Tyrants) according to some contemporary witnesses. For whatever reasons, Major Rathbone’s erratic mental condition became much worse over the years. Major Rathbone and Clara Harris were married in 1867 and President Grover Cleveland appointed Major Rathbone as consul in Germany. Two days before Christmas 1883, Rathbone was at their home in Germany when he asked his wife early one morning where the three children were. She said they were asleep and Major Rathbone became furious. He murdered Clara and tried to take his own life. He was confined for the rest of his life in an asylum for the criminally insane and died there in 1911. Coincidentally, for a very brief time of four months in 1875, a jury deemed it necessary to declare that Mary Todd Lincoln was insane and placed her in the care of the Bellevue Place Sanitarium in Batavia, Illinois. She was depressed, but regained some of her composure. Her son thought two major things in her later life contributed to her mental instability. One was a 1863 carriage accident in which she fell and hit her head hard against a rock. The other was the shot by Booth and bloody head wound to her husband as she sat next to him holding his hand during the performance at Ford’s theater. Mrs. John F. Kennedy faced a similar trauma in Dallas in 1963. Despite this tragic loss of his mother and the imprisonment of his father, Congressman Henry Riggs Rathbone made a success of his life and served the people of Illinois with skill and ability. He was still serving his term as president of the Illinois State Society of Washington, DC when he died suddenly in Chicago on July 15, 1928 at the age of 58. He is buried in Rosehill Cemetery on the north side of Chicago. When Congressman Rathbone died, the members of the Illinois State Society asked Senator Charles S. Deneen (R-Illinois), shown at left, to take over as president in late 1928 and Deneen agreed. Deneen was the first U.S. Senator to serve as president of the society and the only former governor to do so. Deneen had also served as governor of Illinois from 1905 to 1913 and he was the first governor in the history of the state to serve more than one consecutive term. The only other Senator who would serve as a president of the Illinois State Society was Sen. William Dieterich (D-Ill.) from Beardstown in 1933. Dieterich started both his term as senator and his term as society president in early 1933. But he was disliked by the first Jewish governor, Henry Horner, who also started his term in 1933 because Horner feared that Dieterich as a German-American had sympathies for the new anti semitic Nazi regime of the dying Weimar Republic in Berlin that also came to power in 1933. In spite of the worries of Gov. Horner, Dieterich, a former House member, kept politics out of the social events of the society and had one successful year as society president. But tragedy struck the state society and the people of Illinois again on Wednesday night, Feb. 15, 1933, when Chicago Mayor Anton Cermak was greeting President-elect Franklin D. Roosevelt in an open car in Miami as a would-be assassin Giuseppe Zangara tried to kill Roosevelt but he missed FDR and fatally shot Mayor Cermak instead. According to newspaper legend of that era, Tony Cermak's last words to FDR as he lay mortally wounded were "I'm glad it was me, not you." Cermak lived a few more weeks and died in a Miami hospital. His daughter Helena Cermak married Otto Kerner, Jr. in 1934 and Mr. Kerner later served as governor of Illinois from 1961 to 1968 and as a federal judge after that but he was sentenced to a term in federal prison himself for taking bribes as governor in the infamous Marge Everett race track stock scandal. Helena Cermak Kerner suffered from alcoholism and lived at a sanitarium in Hinsdale when Kerner was governor. 22nd Street in Cicero and Berwyn was re-named as Cermak Road in honor of Tony and his Bohemian heritage after he died. Charles A. Lindberg became America's first super star celebrity of the Jazz Age when he flew alone across the Atlantic Ocean from New York to Paris in May 1927 to win the Orteig Prize. Although newspapers of the era called him "Lucky Lindy," his flying days in Illinois included more than their share of bad luck. In March 1925 there was a tornado in Murphysboro, Illinois that caused major damage. The Chicago Daily Tribune hired Lindbergh to fly from Chicago to Murphysboro to pick up photo negatives of the damage that were taken by a Tribune reporter. But a reporter for the competing Hearst newspapers found out when Lindbergh was due to land and gave him blank plates in order to prevent a Tribune scoop. This dirty trick that was no fault of Lindy's, nevertheless caused the Tribune to refuse to pay him for his flight and this event fueled Lindy's intense dislike for newspaper reporters the rest of his life. On April, 15, 1926, Robertson Aircraft hired Lindbergh as a pilot and supervisor of Contract Air Mail Route Number Two from Maywood, Illinois to Peoria, to Springfield, and to St. Louis for five round trips every week in a World War I surplus British DeHaviland 4 biplane. Everything went well during the good weather months of the summer but on Sept. 26, 1926, Lindy got lost in the fog over Marseilles, Illinois and had to parachute into the cornfield of the Charles Thompson farm near Ottawa, Illinois. When he jumped from his plane, Lindy had left the ignition key in the on position and the engine was hot. As the nose of the plane headed down with wind pushing the propeller around, more gasoline flowed into the caburetor so the hot engine started itself again with no pilot as it circled around and almost hit Lindy in his parachute when it made tight turns on the way down. Only five weeks later on Nov. 3, 1926, Lindy again bailed out in a snowstorm as his plane crashed only two miles away on the Robert Runge farm near Bloomington. As a result, Lindy was in danger of losing his pilot's license because he was the only pilot in the U.S. at that time who had four forced parachute jumps on his record. The man who would decide Lindbergh's fate as a pilot was an active member of the Illinois State Society of Washington, DC. He was also a strong advocate for aviation safety and his name was William P. MacCracken, who was Assistant Secretary of Commerce for Aeronautics under Secretary of Commerce Herbert Hoover in 1926. MacCracken is pictured at left. Bill MacCracken was a graduate of the University of Chicago School of law and he had also served as an Assistant Illinois Attorney General when Hoover hired him to supervise the infant aviation industry in 1926. MacCracken was worried that Lindbergh was too reckless and the next time he crashed it might be over a more populated area than the farms of central Illinois. But friends of Lindbergh pleaded that he be allowed to keep his licence if he agreed not to fly mail in Illinois so he could prepare for his attempt at the Orteig Prize in May 1927. MacCracken reasoned that once Lindy was over the Atlantic Ocean, he was no longer MacCracken's responsibility so he let Lindy keep his license over U.S. territory until he made his 1927 flight. MacCracken and Lindy later became friends as they both campaigned for aviation safety in later years. On April 18, 1775, two riders set out from Boston to alert other riders and the militia leaders of Massachusetts towns that British regular troops were marching toward Concord to confiscate muskets and gun powder. One rider was Paul Revere and the other was William Dawes. The great geat grandson of William Dawes was Charles Gates Dawes who was a banker who lived in Evanston, Illinois and in 1924 Charles was elected as Vice President of the United States to serve with President Calvin Coolidge. Charles also shared the Nobel Prize for Peace in 1925 with a British colleague, Sir Austen Chamberlain, for their work on stablizing the curencies of Europe after World War I. Vice President and Mrs. Dawes often led the receiving line for receptions of the Illinois State Society of Washington, DC from 1925 to 1929. To top off his unusual and diverse career, before he died in 1951 Dawes gave permission for a song writer to add lyrics to a piano composition in A minor that Dawes wrote in 1912 and the song became a top 40 hit called It's All in the Game that was recorded by many artists over decades including Louis Armstrong and Elton John in 1970. Rufus Dawes, brother of Charles, was President of the Chicago World's Fair (Century of Progress Exposition) in 1933 and 1934 and his other brother William was President of the Chicago Chamber of Commerce in the late 1920s. William was a member of "The Secret Six" group of business leaders who worked with Treasury Dept. lawyer Eliot Ness of the Untouchables and Eliot's brother-in-law Alexander Jamie to convict Al Capone of income tax evasion in 1931. Rufus and William asked Charles to get help from President Herbert Hoover to pay for federal prohibition agents to help bring down Capone in part because they were afraid after the Saint Valentine's Day Massacre of Feb. 14, 1929 that families would not visit the World's Fair in 1933 if they thought the streets of the city were not safe from gangsters with machine guns. Thanks in part to special railroad rates offered by the B & O Railroad to Chicago for almost half the population of the country in the early Depression, the fair did draw 48,769,227 visitors in the two seasons of 1933 and 1934, almost twice as many as the Columbian Exposition of 1893, which was only open for six months. The 1934 season even earned a profit that was given to the city. So over two years the fair and was a big success after Capone went to prison in 1931. A few years ago I wrote a series of about 200 profiles of famous people from Illinois who in general were a source of pride to the state history in my opinion. I still get a lot of satisfaction when I receive emails from Illinois students who write to me to say they found the series helpful to them in writing biographical reports for school. When I am asked to name the two best governors of Illinois in the last 100 years, I like to point to two positive role models, one a Republican, and one a Democrat. Both were honest reformers who were greatly respected when they were in office. The Republican was Gov. Frank O. Lowden pictured above right who led the state during World War I and served in office from 1917 to 1921. Gov. 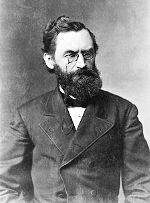 Lowden reformed the corrupt Illinois GOP organization and raised troops for the national war effort. The Democrat was Gov. Henry Horner pictured at right who led the state through the Great Depression and served from 1933 to his death in 1940. Frank Lowden was highly regarded not only in Illinois but also in national Republican politics. He was twice a serious candidate for President of the United States at the 1920 GOP Convention in Chicago and the 1928 GOP Convention in Kansas City. He lost in 1920 after an infamous back-room deal at the Blackstone Hotel in Chicago to draft Sen. Warren Harding of Ohio. Many GOP national leaders later regretted that Lowden was not nominated when President Harding was disgraced by two scandals involving private profiteering by he Director of Veterans Affairs and the dishonest lease of the Teapot Dome oil reserves in Wyoming by the Department of the Interior. In 1928, Lowden lost to Secretary of Commerce Herbert Hoover. Gov. Henry Horner was not involved in national Democratic politics very much but he was widely admired in Illinois when he became was the first Jewish governor after the 1932 election. He was a scholar of Abraham Lincoln who had a large collection of books about Lincoln. He often fought hard with the Chicago Democratic machine of his era, led by boss Pat Nash and Mayor Ed Kelly, over patronage and state contracts when he came into office in January 1933. Gov. Horner knew that state had to control the budget in order to survive the Depression and he was legendary for his frugal financial management as he looked for any conceivable way to cut state spending. Even so, Horner had to sign the first state sales tax at only two percent to raise money for welfare relief and other needs. But the best story about Horner's famous frugality is when he first arrived in his new office in January 1933. Horner's secretary found several cartons of stationery left over from his GOP predecessor, Gov. Louis Emmerson. Horner insisted that his secretary must not order any new stationery unless she crossed out the name of Emmerson and wrote in Horner until all the old stationery was used up. He involved himself in all sorts of ways to save money including letting prisoners grow their own food at state prisons and using carbon filament light bulbs to save on electricity and make the bulbs last longer. But because the Kelly-Nash machine in Chicago got angry at Horner for abolishing patronage for prison guards, they challenged him in the Democratic primary of 1936 and he still won with the help of many downstate Democratic and Republican voters who admired Horner for his honesty. Horner had the courage to buck he machine again on a U.S. Senate primary when the machine backed Sen. William Dieterich who Horner regarded as anti-Semitic with pro-Nazi views. Unfortunately, bad health prevented Horner from leading a campaign to beat Chicago Mayor Ed Kelly in early 1940 and he died that summer to be replaced by one of his Democratic enemies, Lt. Gov. John Stelle. Stelle only served in office a few months until he was defeated by Republican Dwight H. Green in the fall of 1940. Oscar J. Ricketts was President of the Illinois State Association 1900 – 1901 and served again as President of the re-named Illinois State Society of Washington, DC from 1917 to 1919. An ally of Congressman "Uncle Joe Cannon" from Danville, Ricketts was from Ashmore in Coles County where he published two newspapers including The Ashmore Republican. He moved to DC in 1889 to work for the Government Printing Office and he was the Acting Public Printer in 1905 and next in line everyone thought to become the Director of the GPO when the previous Public Printer retired. But unhappily for Mr. Ricketts in the short term, his sponsor Uncle Joe Cannon, who was Speaker of he House that year, chose that week to get into a public feud with his fellow Republican, President Teddy Roosevelt. With his characteristic undiplomatic candor, Joe Cannon told The Washington Post that week, "Teddy Roosevelt has no more use for the Constitution than a tomcat has for a marriage license." Poor Mr. Ricketts, who was an innocent bystander in the affair, not only was not promoted to Director but he was out of a job by the end of the week as a sign of TR's anger at Cannon. His loss was a disappointment to many members of the Illinois State Association who either already worked for or wanted to apply for sponsored patronage jobs at the GPO. But all is well that ends well, and by the time Mr. Ricketts returned as president of the Illinois State Society in 1917, he had filled the years in the interim becoming one of the most successful private printers in the DC area. So the sharp words of Joe Cannon and wrath of Teddy Roosevelt in retailiation actually did Ricketts a favor by getting him out of government to make more money in the private sector instead where he had time to build up a business using his years of printing experience in Illinois and DC.